As Colonial Downs prepares to reopen in 2019 — after more than five dormant years — slot machines at the track and at off-track betting facilities are projected to provide millions of dollars. WASHINGTON — Horse racing is set to return to Virginia’s most well-known track, and slot-machine-style betting could become more common across the state under a law that took effect Sunday. The law expanding the use of “historical horse racing” slot machines controlled by Colonial Downs helped allow for a sale of the track this spring. As the track prepares to reopen in 2019 — after more than five years dormant — slot machines at the track and at off-track betting facilities are projected to provide millions of dollars (which gamblers do not get back) to beef up racing revenue, fund track improvements and boost the track owners’ bottom line. More than 1 percent of the gambling revenue (1.25) also goes to the state or local governments through taxes. In “historical horse racing” slot machines, the results of an old race help determine the numbers that come up as winners. A video of the recorded race is typically shown on part of the screen after the gambler hits a start button. Virginia law allows up to 10 off-track betting facilities. But there are only four currently. Those four are all sports bars outside Northern Virginia. Several Northern Virginia businesses are interested in exploring bringing the slot machines to the region and betting on out-of-state live horse races. House Bill 1609, signed by Gov. Ralph Northam this spring and effective July 1, directs the Virginia Racing Commission to approve regulations to make the racing and slot machine use happen. “We are in the process right now of looking at the regulations. And, you know, there are a lot of different folks that are interested in racing and gaming, and we want to be fair to everybody, so we’re going through that process right now and vetting things. Hopefully at the end of the day we’ll come up with regulations that are fair and that will be in the best interests of Virginia,” Gov. Ralph Northam said in an interview. Colonial Downs is not an aging track like Maryland’s Pimlico Race Course, which dates back nearly 150 years. 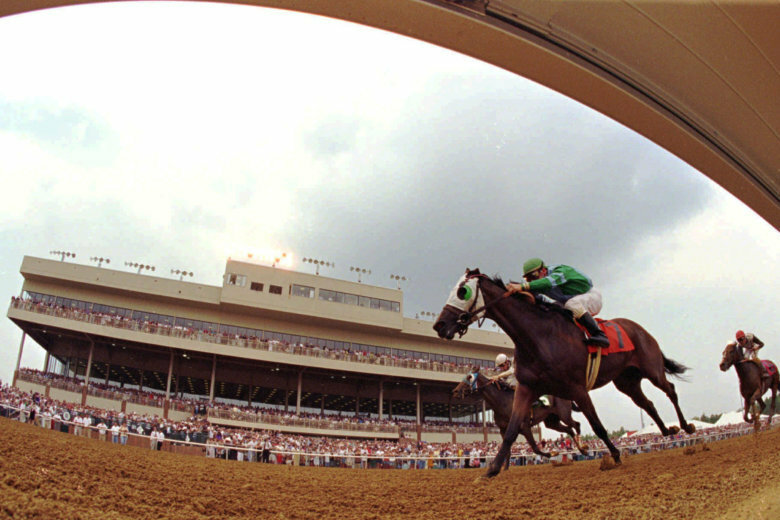 Colonial Downs opened in 1997 after a lengthy debate in the state about where to put a new horse-racing track. The new Colonial Downs owners hope to run about 25 days of racing each year. It is not clear how many of the slot machine-style units the Racing Commission plans to allow at the track or at each off-track betting facility. The commission is scheduled to meet again next week, but no agenda has been posted. It could advance regulations any time in the next few months.